In an atmosphere of joy and beauty, ESPOSA presented one more time her brides in a new photo-shoot celebrating excellence, beauty and confidence. Under the spotlight of the cameras, the brides of ESPOSA were full of charm and poise. Unafraid of further heights, the ladies took part in a fun and quirky photo-shoot. 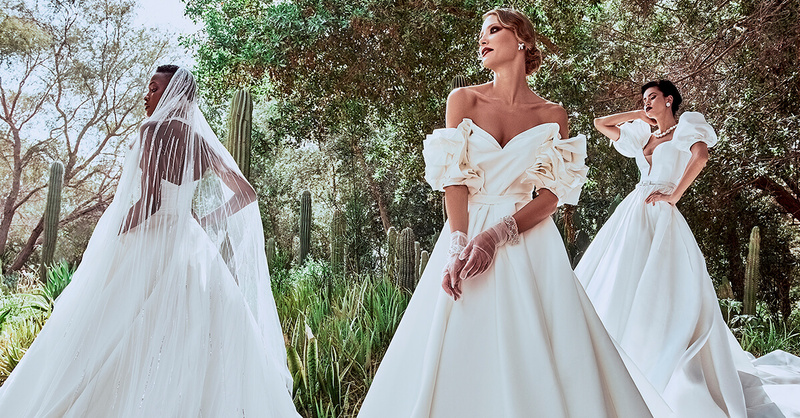 Resembling flying butterflies in a harmonic magical ambiance, they seemed to travel in the natural beauty of “la vie en rose” in ESPOSA’s dreamy wedding dresses. This is ESPOSA’s unique classiness at all heights.